My excitement would increase exponentially if we get P4 music. I like that soundtrack so much more than P5's. Well, I just bought Persona 5 for $25 on PSN. I've never played a Persona game before, so I probably never would have even picked this up if not for Smash. I really love a lot of things about RPGs, but I rarely finish them. Time to throw P5 next to XC2 and Octopath on the indefinite backlog shelf once I inevitably burn out after 30 hours! Still, this should be more than enough to satisfy my curiosity around Joker so I can become properly excited once he joins the roster. Smash hype is a sickness, I tell ya what. Alternatively you could watch the Anime. Every day's great at your Junes. I considered it, but from what I read it's just a worse version of the story within the game. I watched the Bayonetta anime right after playing 1 and 2 for the first time when they came out on Switch. I can't imagine how much different (and lesser) my opinion of the character would be had I only watched the adaptation instead of actually playing the game. It's probably quicker to watch the TV series then actually finish Persona 5. For a blind playthrough with no experience with the series. The game can easily take up to 80+ hours to finish. It's just one of those very, very long and involving games, since Persona main focus in its combat is a monster collection mechanic. If you played any SMT game you'll probably know what to expect. If not then maybe I should reference Pokemon. Persona as a series emphasizes on Jungian Psychology aspects of the persona and the shadow, or essentially an other side of oneself that lives within your psyche, hence Personas. Each Persona has their own characteristics which are sourced from the many demons in the SMT series which they themselves are based on many religious and mythological figures from many cultures. For example you have Personas based on Egyptian Gods like Isis, Thoth, Anubis, etc. Each have powers and elemental resistances. I won't get into the school life aspects of the more recent Persona titles. My interest is more about the monster collection mechanic in the series, being able to defeat and recruit the demons into your party, fuse them into more powerful demons and so forth. No Life Will Change? Really? I personally do not like Smash Bros, but I am seriously impressed with the crossovers they are getting. oh music list ok then. This is just a list so remixed or not. Not gonna bother specifying. If they’re gonna use PQ2 tracks, they better use Pull the Trigger. Well he listed Rivers of the Desert, so I'll forgive it. How much do we think they'll use Persona 4 Arena as an inspiration? Yeah, they will share concepts for sure. Cloud is notably lacking in all regards but he has some stuff from Dissidia. Sonic has moves from Sonic the Fighters and apparently Virtua Fighter but I do not recognize any being from that. I think that might have been fan speculation because Bayonetta's move from Virtua Fighter is super obvious. I think there have been rumors of Persona 5 Arena around for awhile too, so I imagine if that exists both sets of developers are sharing ideas. All of these track listings, and yet this is always omitted. But here's the question, will they stop at Persona 5 or extend to other Persona games (P4, P3, PQ, PQ2, etc.)? As much as I want to hear Mass Destruction on loop over and over again, having just Persona 5 music only would be more than enough for me. That entire soundtrack is just too goddamn sweet. 1:56 gets me something fierce. If they used music from other games, I would like it if they included the P2 Innocent Sin Battle and Boss Battle themes. I hope one of his victories is him running by with the Joker wins following him. I almost impulse bought Persona 5 during the PSN sale this morning but held off. I don't have time for a huge game like that right now and I'm not sure if I'd like it. I've been thinking about his moveset, what if they just implement the system from Persona 4 Arena? In that game, you have standard attacks and Persona attacks, the latter of which can only be used as long as you have Persona cards. You get one card struck out every time the opponent attacks the Persona instead of you, and if you run out of cards you have to wait for them to refill. 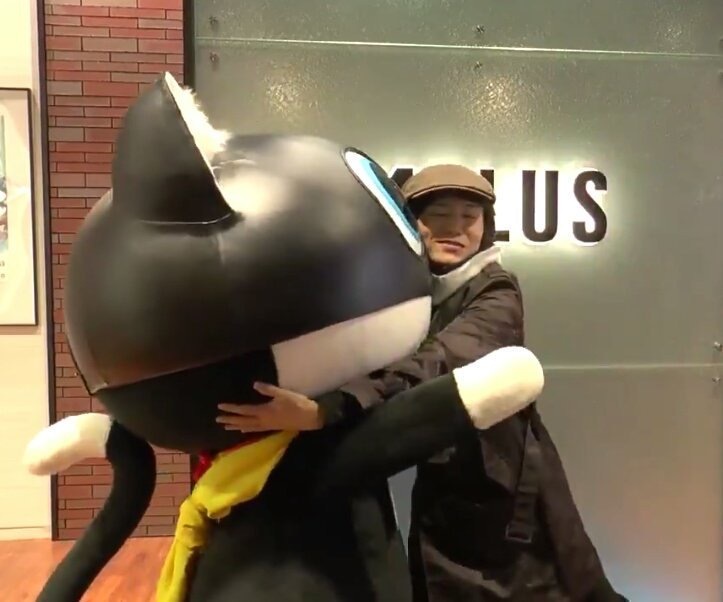 Maybe Joker will involve Personas for all his Specials, but they can be individually damaged and, eventually, put out of commission for a little time. The music selection is honestly the part I'm most hyped for with Joker getting in. I hope besides the obvious P5 picks, we also get music from the other Persona games. At the very least, Reach out to the Truth needs to be in. All boss battle themes in this game are sooo damn good. If Persona 1 gets any music it needs to be these two. Just wait till it gets released on switch, you'll be able to play it in short bursts wherever you are. And good job on resisting the impulse buy, I often have trouble with that. Really liking some of the new music from Q2, hadn't heard any yet. Hopefully the Smash music team really loves Persona music. A lot of it would work as direct rips anyway. I see us at least getting P5 & PQ2 music, the rest would basically be Atlus flexing on everyone. Any ideas about what Persona's series symbol will be? That looks cool! It would join Earthbound and Castlevania as a series with a relatively intricate symbol. What exactly does that symbol refer to? I've only played P5. It's the symbol for the arcana/tarot cards, a recurring theme of the Persona series. Man I'm still so happy about this. They really nailed Joker's design (and the P5 character designs in general) that I'm happy it took until now for this to happen, Joker is so much cooler than other SMT/Persona characters. I personally think we'll get the Phantom Thieves symbol instead. The Phantom Thieves symbol is only significant in the context of Persona 5 and not the Persona series as a whole. Typically most 3rd party reps in Smash represent their entire series in some form so it's more than likely that a catch all Persona series logo may be used in this case. I wouldn't mind the Phantom Thieves logo though. Although I suppose the FF7 Meteor representing Cloud might an outlier in this case, so who knows, they might use the Phantom Thieves logo. The Phantom Thieves symbol is only significant in the context of Persona 5 and not the Persona series as a whole. Typically most 3rd party reps in Smash represent their entire series in some form so it's more than likely that catch all Persona series logo be used in this case. Honestly I don't think that matters as much as people give it credit for. 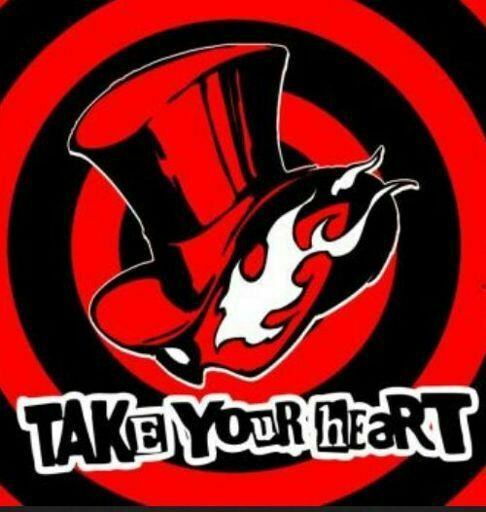 The phantom thieves symbol is a more eye catching image imo, hence why I think they would use it. Take "Shadow World" out and it's perfect. I vote for the tarot symbol as well. It's also a very oblique reference to Philemon, the otherworldly entity in charge of giving Personas to people, and Igor's "boss". 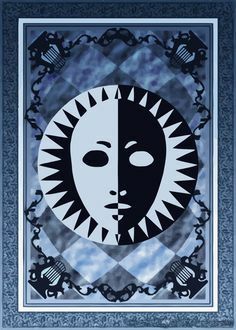 He doesn't appear in person in the Social Link era of the Persona games, but any time you see a mask design motif or a butterfly, it's referencing Philemon. Will character packs add spirits and/or music / items ? We know they add a character, music tracks, and a stage. They haven;t said whether or not they add new items and/or spirits. any interesting info from this ?